Own one of these ultra rare cars, or at least drive it and I think the doubts of exactly how blisteringly rapid these are will be driven home. Now an absolute classic piece of engineering by AMG, sure it has its faults but speed and power certainly aren't one of them... Own one, love it! True 500Bhp territory! Swedish carmagazine bilsport hits 0-100km/h 4.14 seconds. This has 80 less hp than the DTM and weighs 70 kilos more, yet its faster around the ring by about 9 seconds. Fastestlaps really needs to fix some times on this site. Manufacturer laptime, that explains it all haha, fine then. Anyway, 7:45 for thi car does seem too fast, I'll search the scans. I was always suspicious about that 7.45, too quick for Black, no doubt about it. it is kinda strange that this laps the ring faster than a 996 GT2, is that 7:45 really accurate??? new Faster 1/4 mile time can be added. No, its really limited to 186mph, but infact unlimited it has reached a true top speed of 200mph!! their probably just limiting it to 186mph to make people think it will go alot faster when really i would estimate it would only go abit faster than the speed they limit it to maybe 195mph at the most with out the limiter. Well the problem with any fast car is where you going to go that fast before a pig pulls you over ?? Cars that do faster quarter miles impress me more as almost any car will go fast at top end!! Dont forget its all the luxury equipment you get also. on and btw, the car is Limited to 186mph, thats not its TRUE top speed!! Are all mercedes made of steel including the rims because they are all pigs. 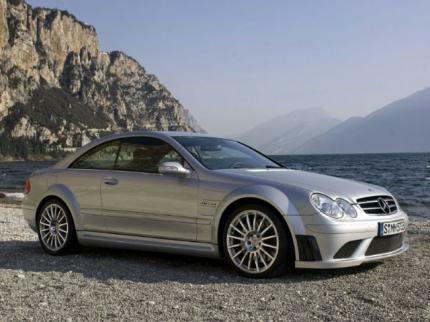 I just recieved Clarkson's moive Thriller and he did say the CLK Black did a 1:26 on the Top Gear track. i wouldnt say its impossible for it to lap the ring in 7:45..
Werty, Wikipedia is a great source of information, the biggest encyclopedia in the world. But you can not refer to wikipedia. Not just in case of lap times. Wikipedia should not be used as reference and should not be quoted anywhere because it's content changes frequently and sometimes the information found in it turns out to be absolute bullcrap. And you never know the authors who got that information and where did they obtain it. Wikipedia is great for learning stuff for your own good but not a serious source of information to refer to. It is just too volatile and vulnerable. At A156, you have to careful with lap times, particularily at the Ring where manufactures and testers drive the cars. 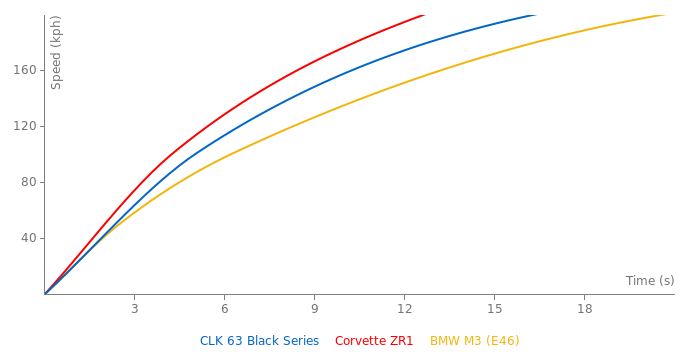 Manufacturer tested cars are usually much faster. For example, the 430 Scuderia. It ran about 7:40. The ACR ran 7:22, but both cars are equally fast (the 430 might even be faster with better downforce/weight ratio and less drag). There's also the Zonda F which I am certain will kill the two car ahead of it. Then you have to take into account that cars are run on different days, and that potentially makes a huge difference. The only time it's really safe to directly compare lap times is when there is a huge number of laps on the same track and/or the laps were done on the same day in the same test.